There are times in all our lives when we need a fairy godmother, not the one whose sprinkling of magic dust turned Cinderella’s pumpkin into a coach and the castle’s rodents into horses, but someone with the same rousing spirit who is ready to jump in and help us solve a problem. 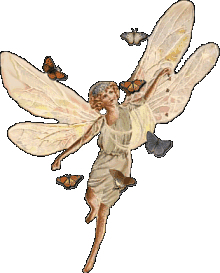 The kind of fairy godmother I’m thinking of is someone who pops up out of nowhere and does something significant to affect our fortunes (as in our luck, although the right action by a fairy godmother could also have an effect on our bank accounts). She may take charge when we can’t manage on our own, be a mentor, or get us ready to tackle the world. Although the traditional fairy godmother usually addresses only a single problem with her incantations, in Cinderella’s case, having to scrub floors on her hands and knees instead of attending the ball, the effects of her work endure over time. I believe I have found my fairy godmother. She’s younger than Cinderella’s, but youth is not a barrier to creating magic. Her name is Tara. I met her at the Pacific Northwest Writers’ Conference a few weeks ago. Her exuberance for the writing class she recently completed and for her teacher convinced me to apply for admission. She warned me that the application process could be intimidating, but not to worry because I would get in. Her certainty encouraged me to write my first resume in 23 years, submit a writing sample, and prepare a statement describing the connection between my work, volunteer experiences and writing. Two days later the acceptance letter was in my inbox. My fairy godmother had been right. Her questioners beamed at her unshakeable enthusiasm, which also cleared up any misgivings I had about my hasty decision to return to school, and left me believing that I had made a brilliant choice. I learned that her initial fear had been so consuming that she almost didn’t apply for the program and that she broke out in hives the first time she showed a sample of her writing to another person. Despite these inauspicious beginnings, she loved the class and now describes it as a novice novelist’s paradise. Thanks to the class, she completed her first novel. Best of all, she interviewed with four agents at the writers’ conference and said that each one asked her to send a sample of her book. I couldn’t leave without asking Tara for her email address. Although I feel fearless today, my butterflies may return just in time for the first day of school. If they do, I will call upon my fairy godmother for that one last sprinkling of assurance. This entry was posted in inspiration, personal reflections, writing and tagged inspiration, personal reflections, writing. Bookmark the permalink.